Tel-el-Kebir lies 110 kilometres north-north-east of Cairo and 75 kilometres south of Port Said. 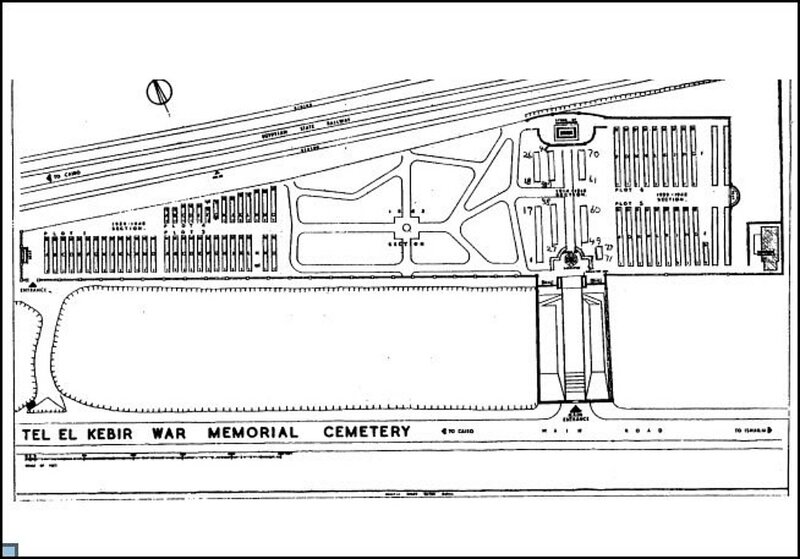 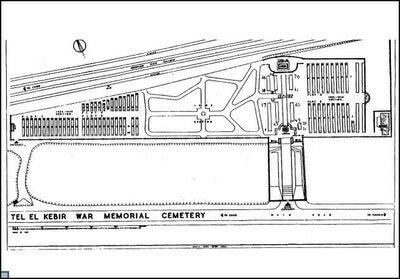 The War Memorial Cemetery is situated about 175 metres east of the railway station and the Ismailia (Sweet Water) Canal. 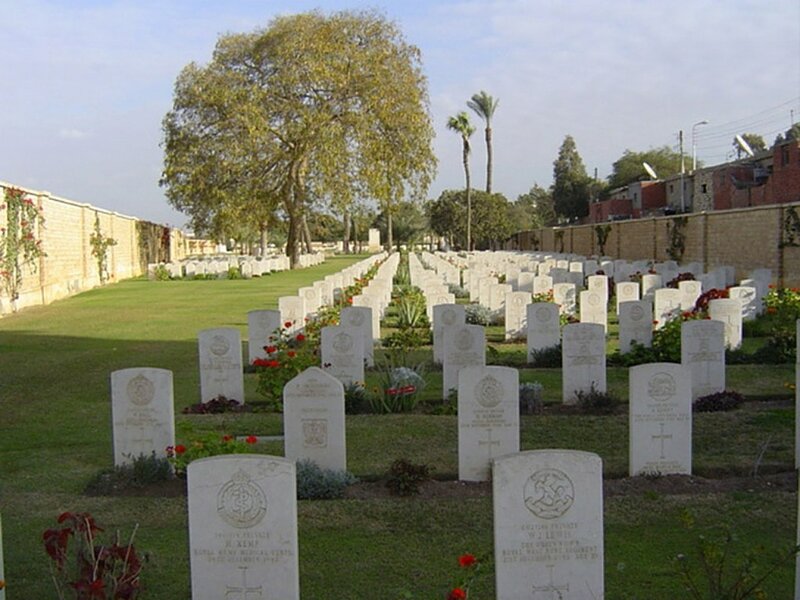 During the First World War, Tel el Kebir was a training centre for Australian reinforcements and the site of a very large prisoner of war camp. 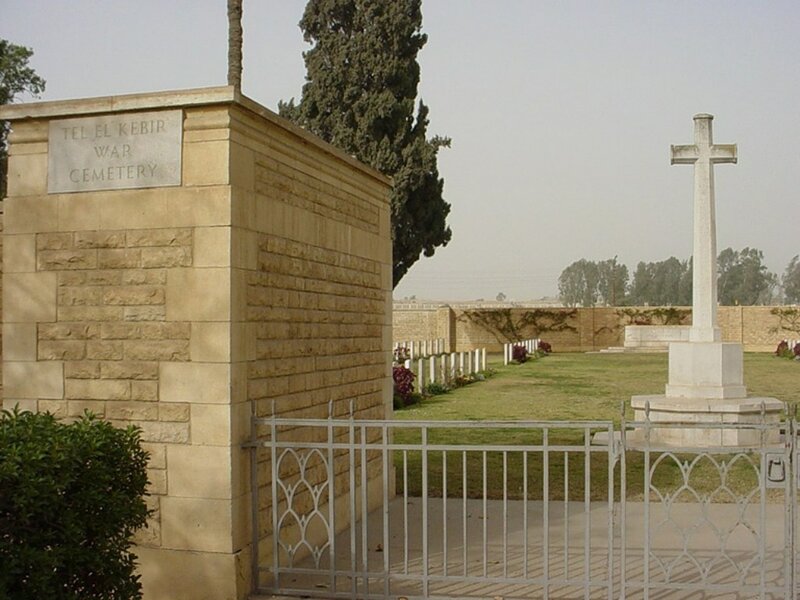 The War Memorial Cemetery was used from June 1915 to July 1920 and was increased after the Armistice when graves were brought in from other sites, including 15 from the International Christian Cemetery at Zagazig, where there was a Supply Depot. 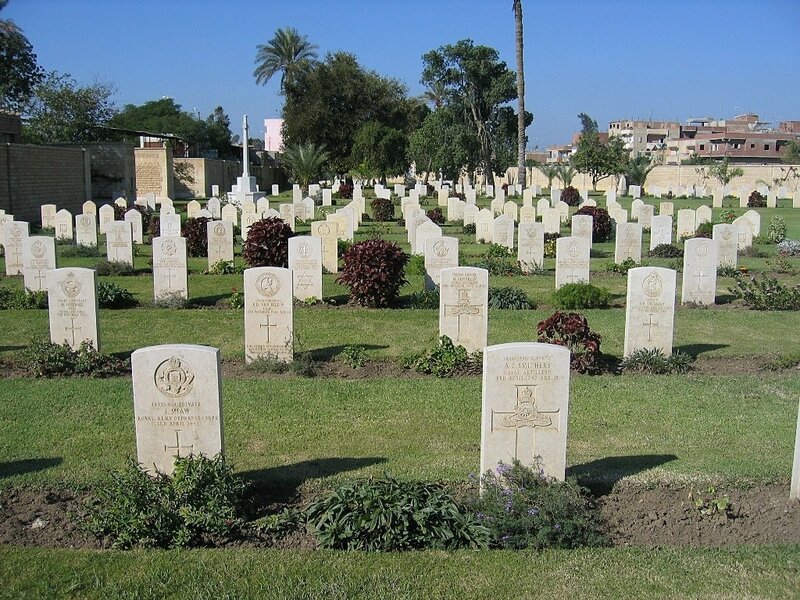 During the Second World War, Tel el Kebir was a hospital centre and a great ordnance depot was also established there, with many workshops for the repair of armoured cars and other weapons of war. The cemetery contains 65 Commonwealth burials of the First World War and 526 from the Second World War. 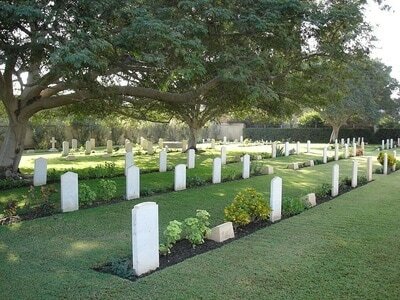 There are also 84 war graves of other nationalities in the cemetery.